Curtha in eagar ag Antoin O Fearghail. Paperback. iv plus 170 pp. 112 line drawings. Logic Press is assisting the distribution of this book, which is published by Marino Institute of Education. Published in homage to a famous teacher, Br. 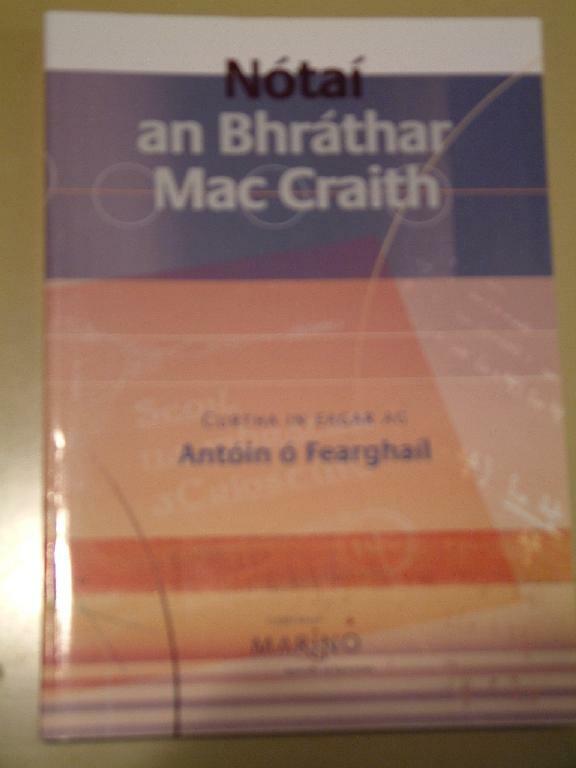 Fabian McGrath, who taught the editor at Drimnagh Castle CBS, this is the first book for many years about mathematics, written in Irish, that is not just a textbook. It is directed at readers who like to think, and who take pleasure inthe beauty and elegance of mathematical thought. The material is accessible to anyone who understands Junior Certificate mathematics (or the old Intercert mathematics). It has to do with trigonometry, algebra, geometry, algebraic geometry, and calculus. It is presented in easy, direct Irish. There are 112 figures, and the material is laid out as notes, in a clear, spare, and efficient manner. For the most part, each page carries a complete module. All proceeds form the sale go to provide scholarships for mathematics students.